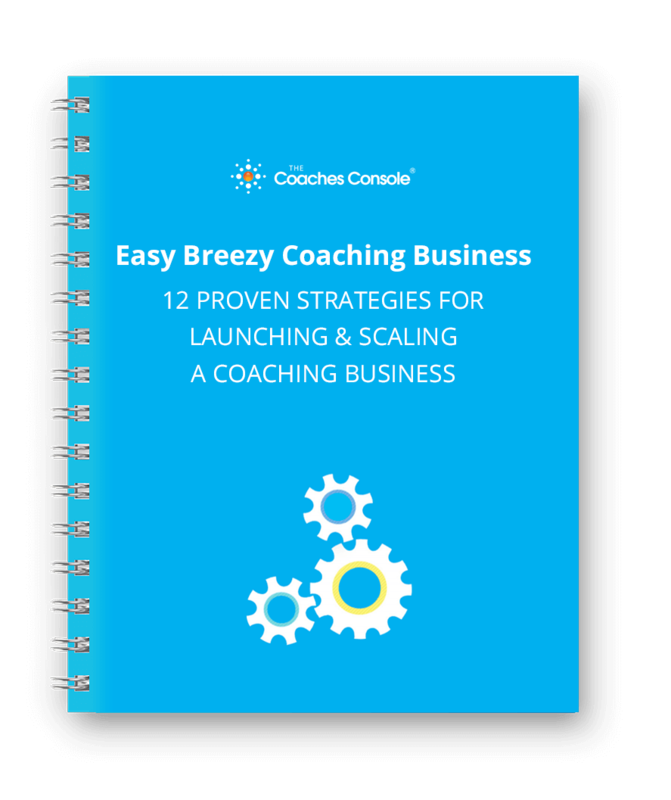 Discover Precisely What to Do, When, as You Traverse Each Stage of Growing Your Coaching Business, from Launch to Thriving Practice! You CAN run your business like a well-oiled machine, without the overwhelm and stress, as you make the difference you’re here to make. The 12 strategies you need to know now so you can navigate every stage of the business-building process with calm and confidence, and get the results you need, when you need them. How to put in place the structures that will give you freedom and stability, so you can find your niche and create materials accordingly, attracting your ideal clients effortlessly. Why systems are key, and how they help you focus on what’s really important: giving your clients exquisite customer support. 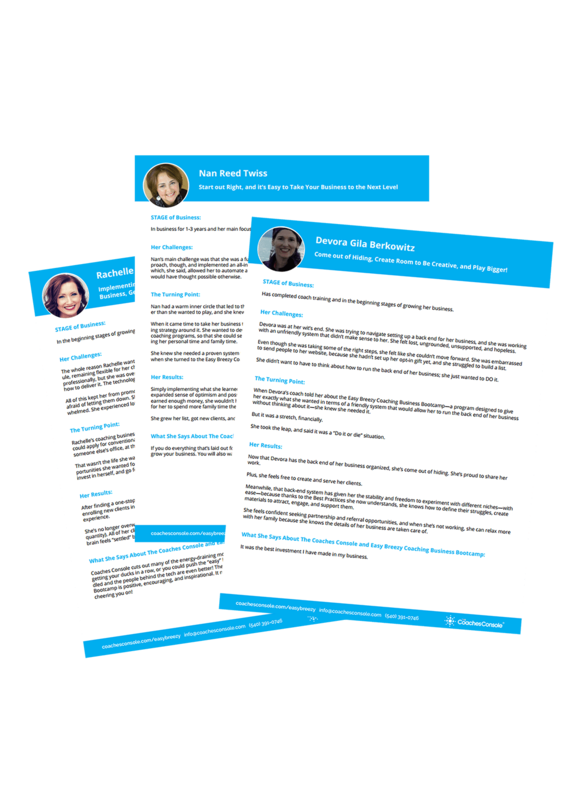 Real stories from coaches who have used these exact strategies to decrease their stress, streamline their businesses, and provide exquisite customer support to their clients (these stories prove that you can do the same!). I'm excited about my coaching career and I'm in the midst of transitioning from my regular job. I've just completed my coach training (or about to) and am in the beginning stages of growing my business. I've had my coaching business for 1-3 years and my main focus is generating consistent revenue. Coaching has been my full time income for 3+ years and now I'm looking to take my business to the next level. Please also send me weekly business building tips, resources and exclusive offers.